"Would you hire President Obama as your financial adviser? Three years ago his administration invested more than $100 billion in taxpayer money to bail out General Motors. On Tuesday, the entire company, not just what the government owns, was worth less than $34 billion. By anyone’s definition, that investment is a glaring failure. Yet over the last few days the Obama campaign, in a $25 million marketing blitz, has flooded the airwaves with ads in battleground states, claiming the bailout should be counted a rousing success. Unfortunately, assertions that “all loans have been repaid to the federal government,” that the bailout “saved more than one million American jobs,” that “U.S. automakers are hiring hundreds of thousands of new workers,” that GM is again the “number-one automaker” — all are based on creative accounting. The money the government spent adds up quickly: $50 billion in TARP bailout funds, a special exemption waiving payment of $45.4 billion in taxes on future profits, an exemption for all product liability on cars sold before the bailout, $360 million in stimulus funds, and the $7,500 tax credit for those who buy the Chevy Volt. GM’s share of other programs is harder to quantify but includes, for example, some of the $15.2 billion that went to Cash for Clunkers. Those costs are in addition to the billions taken from GM’s bondholders by the Obama administration. A look at the accounting shows the trouble with contentions that much of the TARP money is getting paid back. The Obama administration compares the $50 billion in direct bailout funds with the price it will eventually be able to get for selling the GM stock it owns. But that assumes that the stock price won’t reflect government subsidies, including GM’s exemption from paying $45 billion in taxes. By the Obama administration’s logic, if the stimulus grants to TARP recipients were simply large enough, all the TARP money could be paid. 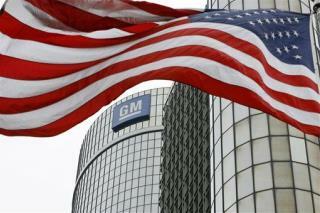 Claims that GM paid back its TARP loan are true but misleading. President Obama clearly wants to create the impression that all the money given to the auto companies has been paid back. But the $6.7 billion loan to GM was just a tiny fraction of the money given to it. As TARP special inspector general Neil Barofsky explained, GM used “other TARP money” to pay off the loan." This is not an endorsement of Romney. Just some more facts about how we're being shafted robbed and lied to by the bank owned politicians in the two party system. This would never have happened if Romney was in charge. He would have let GM go under. Sorry to burst your bubbles, but 1500 jobs is nothing. Nothing at all. This should not even be a headline. One Ohio grocery store is adding half that this week, and some 12,000 in the coming months. Type "adding * jobs" into your google searchbar, and you will see that yes indeed, other companies besides GM are, in fact, adding jobs. Guarantee if GM added 1500 tech jobs last October, there wouldn't be a mention of it anywhere.